The apostle Andrew is a bit of a mystery: he’s Simon Peter’s brother, but he’s way, way in the background compared to his brother. I’m getting to know all 12 apostles a little better, and Andrew has been an interesting character to study. I’ve always liked the apostle Andrew. He just seems like an inviting, approachable guy. Plus, if you look up his name in a Greek lexicon, you’ll see it means “valor,” “strength,” and “all-around manliness.” So it’s no wonder he’s always depicted with such an epic beard. So let’s get to know the apostle Andrew—who is this guy? 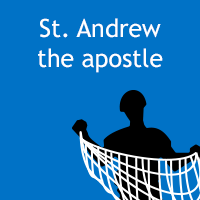 Andrew is remembered as the Protokletos: the “first-called” apostle. Andrew follows Jesus first, then introduces his brother Peter to Jesus (Jn 1:38–41). As far as we know, Andrew is the only one of the twelve who’s a disciple of John the Baptist before following Jesus (Jn 1:35–37, 40). Andrew is a fisherman by trade before following Jesus. He works with his brother Simon Peter, and seems to have a business partnership with Zebedee and his sons James and John (Lk 5:10). 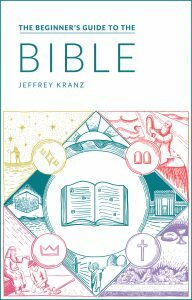 In the Gospel of John, Andrew usually shows up in the story to invite people to Jesus. He introduces Peter to Jesus, he brings the boy’s five loaves and two fish to Jesus (which Jesus uses to feed over 5,000), and he brings some God-fearing Greeks to Jesus, too (with Philip). We could all be a little more like the apostle Andrew in this sense, right? Unlike his brother, Andrew isn’t one of the “inner three” (Peter, James, and John), but he’s close enough to Jesus to privately question Him about the impending destruction of the temple (Mk 13:3). Granted, the other three are there, too. According to tradition, Andrew was bound—not nailed—to an X-shaped cross by the sea. This X shape is a prominent Christian symbol; in fact, the Flag of Scotland is known as St. Andrew’s Cross (shown below). My wife and I are making portraits and infographics of all 12 apostles. It would be a shame if you missed any of them. But there’s an easy way to make sure that never happens: sign up for our email newsletter now.